Pigment dyed shirts shirts are pre-shrunk, therefore they will not shrink after washes. Color variation is not a defect. Variation is a natural part of the pigment garment dye process. This is to be expected and in no way should this variation be considered defective. It actually makes your individual product unique. We recommend washing garment-dyed clothes separately before the first wearing. do not use bleach or dry clean these products! Please follow washing instructions on care tag label. 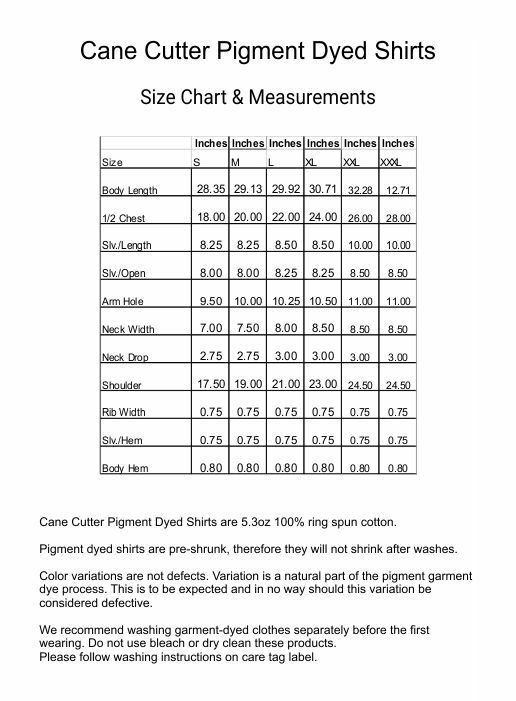 The shirts run true to size, please refer to the size chart below or in the image gallery on the product your purchasing.